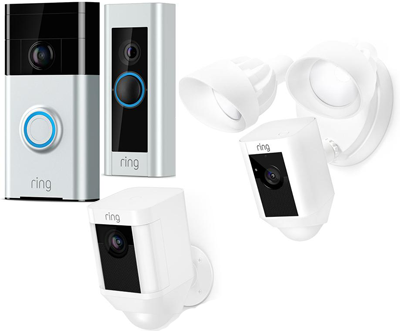 You are here: Freebies » Announcement » $60 off Ring Camera or Doorbell Coupon Code! $60 off Ring Camera or Doorbell Coupon Code! To get $60 off Ring Camera or Doorbell download the Ring app you will get a $10 credit good for any camera or doorbell or accessory. Then use code MILITARY2018 at checkout to receive $50 off for a total of $60 off a Ring Camera or Doorbell! Even if you don’t make a purchase you can still download the Ring app and be enrolled in the FREE Ring Neighborhoods program! The Ring Neighborhoods program started out as a way for owners of Ring security cameras to instantly share their Ring videos with neighbors, alerting one another to crime and safety issues in real time. Neighborhoods proved so popular and effective that we decided to open it up to everyone, regardless of whether or not they have a Ring device. Once you downloads the Ring app and sign up for a Ring.com account and is verified, you will be automatically enrolled in the free Ring Neighborhoods program.